OHPC Recruitment 2019 - Job notification for Consultant Physician/ Doctor Post in OHPC, Koraput, Odisha on Contract Basis. 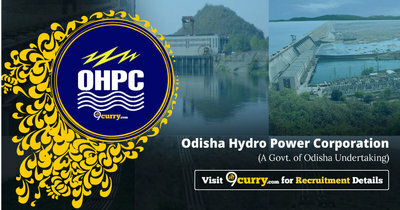 Applications are invited by Odisha Hydro Power Corporation Limited on or before 24 Feb 2019 for 1 vacancy. Eligible candidates may send their bio data as per format (Given below) to Office of the Sr. General Manager (Elect. ), Upper Kolab H.E Project Bariniput. Via- Jeypore, Koraput (Odisha), Pin- 764006 with in 30 days form the date of paper publication, along with photo copies of all Documents/ Testimonials two nos. of attested Pass Port Size Photograph. 2) Name & OCM registration No. 4) Address for Communication & Contact No.